Jagannathan is an excellent faculty having teaching experience of 25 years. His approach to teaching is structured and practical which allows use of live examples in the class. He is famous among students for her unique teaching style. CMA Foundation Study Material Latest Edition for June 2019 & Dec 2019. The Financial Accounting process is necessary for understanding the Cost and Management Accounting processes. In this course, you learn all the basics of Accounting framework and also the steps for preparing the financial statements of profit and not-for-profit organizations. It prepares the student with inputs to grasp advanced topics in Accountancy dealt in Intermediate and Final stages of the CMA Professional Course. Students, who want to attempt to CMA Foundation June 2019 Exam, can prepare given study materials. Dr.jagannathan is an experienced academician with over 45 years in academic life. He is a holder of graduate, post-graduate and a Ph.D. degree in commerce conferred by the University of Delhi. 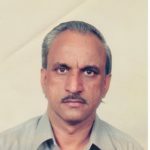 Being a fellow of the Institute of cost accountants of India, he has been practicing as a management accountant for the past 20 years with wide exposure in corporate accounting, apart from teaching and other academic activities in accountancy which has been his passion for years. He has headed the accounting institute, academic institute and involved in guiding the preparation of books in accounting, conducting examinations in accountancy and still continues to do this. 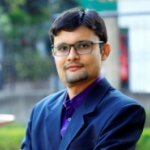 His insight in the subject of accountancy is based on his continued experiences in corporate accounting as well as the close link to accounting subject in academics. If you need help with Fundamental of accounting for CMA foundation contact Takshila Learning‘ CA Exam Expert. Also, you may begin your preparation with CMA foundation Free Demo Classes. Now students from all over India can learn from India’s Most Experienced Professors online and get their dream career.